So yesterday, I hosted a luncheon for the incoming and outgoing officers for Carolina Pine Quilters. It was wonderful to meet new folks willing to help the guild and of course wonderful to be working with old friends too. The last time I was on the Board was 2000!! 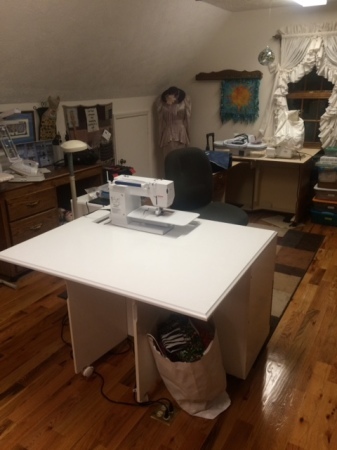 One of the side effects of serving lunch to quilters is…ya gotta clean up your sewing room..cause they ARE going to want to see it, and you ARE going to want them too! It was really my pleasure. But my friend Casey said I better “document” the occasion..because it is indeed a rare occurrence when you can actually see the countertops. You know they really are pretty…I even encouraged hubby to go up and look. 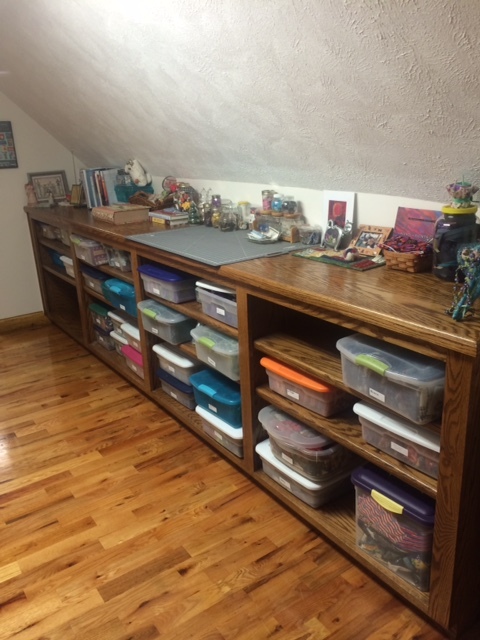 Admittedly…this is disturbing and I need to go in there and make some kind of creative mess. 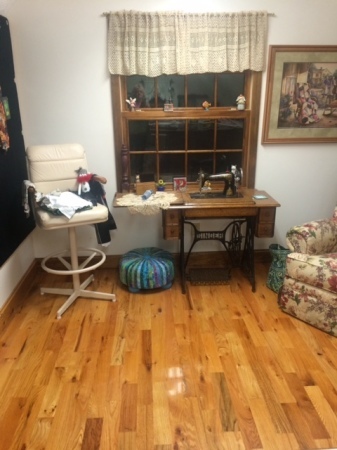 Look no pikes of stuff on the floor…admittedly, I really don’t have too much of a mess in that area…but there aren’t even any threads! The sewing table is NEVER that clean!